As a patient, it’s important to realize that there are different approaches to dentistry. One can either view the mouth as a collection of individual teeth, or as an "organ" to be treated and cared for, as a whole. Dr. Poonam B. Wadhwani practices the latter. She understands that an integrated approach significantly improves the long-term health of your mouth. She emphasizes that one should not view dental wellness as disconnected from total body wellness. 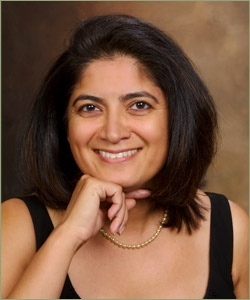 In order to best support her patients, Dr. Wadhwani actively stays current on the most recent developments in dentistry. She is a graduate of the Kois Center; a top teaching institute in Seattle that attracts dentists from all over the world. The Kois Center provides dentists with predictable, evidence-based dental systems that enable them to deliver the highest level of patient care. Dr. Wadhwani believes that good dentistry doesn't have to be impersonal. She provides professional service in an environment that is warm and inviting. At Serene Dental, visits focus on prevention and risk management to maintain health. Then Dr. Poonam B. Wadhwani at Serene Dental is the clinician for you. Call today and experience SERENE DENTAL! Patty began her dental career as an Office Manager over 16 years ago. Although her path crossed with Dr. Wadhwani in 2001, she joined the Serene Dental team in March of 2016. Her current role is that of Office Manager. 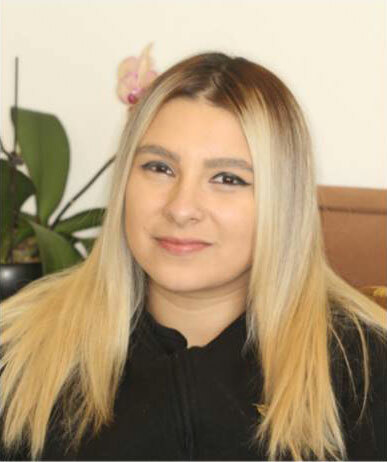 She enjoys building long lasting personal relationships with patients and working through treatment concerns by creating financial plans that work with patient needs. It is clear when you meet Patty that she loves her position at the office and is very proud to be a part of such an amazing team. She looks forward to helping all of our wonderful patients obtain the smile they deserve. Patty loves to read, watch old movies and enjoys spending time with her children and husband. Patricia graduated from the College of DuPage with an Associates in Applied Science in Dental Hygiene. Being a Registered Dental Hygienist has given her an opportunity to help educate others on the importance of good oral health as well as making a lasting impact on patients. She is passionate about helping people reach their oral health goals. Denise graduated as a Dental Assistant from Everest College in 2013. She is the friendly face that you will see assisting Dr. Wadhwani with all procedures. Denise loves finding new ways to help our patients feel at ease and comfortable at each visit. It is clear when you meet Denise that she is passionate about her role at Serene Dental and understands the true meaning of teamwork. Denise enjoys the professional but yet fun atmosphere that makes coming to work each day a positive experience. In her free time she enjoys time spent with her family, biking, running, reading and Netflix. Most of all, she loves bringing smiles to those around her. At Serene Dental, Pahul has the important role of assisting both Patty at the front desk and Denise chairside. Her position is essential to the smoothness of the day, particularly on Saturdays and our busy evenings. You will see Pahul, always with a smile on her face, getting to know patients, making them comfortable and moving them along with their visit. Pahul is a senior at Bolingbrook High School. Pahul has the very important task of helping us train the next person who will take her position when she goes off to college.